shadow of the locust "fire bone (jeremiah dirt, reveal, the m, dj kair)" - shadow of the locust - sotl | Holy Hip Hop...Taking The Gospel To The Streets...Since 1997 Holy Hip Hop!Christian Hip Hop!Gospel Hip Hop!Gospel Rap!Hip Hop Gospel!Christian Rap!Taking The Gospel To The Streets! 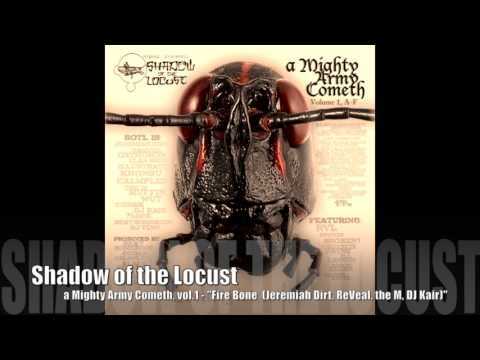 Shadow of the Locust - SOTL » YouTube » Shadow of the Locust "Fire Bone (Jeremiah Dirt, ReVeaL, the M, DJ Kair)"
Shadow of the Locust - a Mighty Army Cometh, vol.1: "Fire Bone (Jeremiah Dirt, ReVeaL, the M, DJ Kair)"
Please Don't Steal Music. If you like, Support Truth in Hiphop! Share this Video. YOU are our Best Promotion! Thank You. We appreciate all our fans and the support!